Today’s update compiled from inputs by several of the Mars Express team at ESOC. Thank you Simon, Andy and our Spacecraft Operations Manager Michel – Ed. In the weeks since we announced which entries had made it through to the final round, we’ve been busy working out how many of the observations would be possible. Even before we announced the VMC Schools Campaign, and assuming we might get, say, a handful of submissions, our original plan was to select as many of the requested targets as possible and then command Mars Express to turn and point VMC at each of them as it orbited the planet. As you know, we ultimately received 25 excellent proposals (thank you!) and so the MEX team have been working hard to revise our strategy to accommodate this large number of requests. We think we have a solution, which is modelled after an earlier pointing campaign from which we generated the Mars Express Full Orbit videos. Mars Express was designed for performing steady observations and not rapidly turning to point at different science targets (we call these “pointings”). And, as a safety feature, Mars Express is programmed to return to Earth-pointing between each science pointing (and it doesn’t slew, or rotate, very fast anyway – only about 10 degrees/min). Even a very short observation can take up to two hours, out of which 45 minutes are required for the move from Earth to the target pointing, and another 45 min to move back . As the spacecraft orbits Mars every seven hours, this restricts us to about three pointings per orbit. Also, even though science will be turned off during the upcoming conjunction period, we must still allow time for communicating with Earth, which can take up to eight hours at a time. With the antenna and all the instruments rigidly fixed to the body of Mars Express, we cannot use communication periods for conducting observations with VMC. 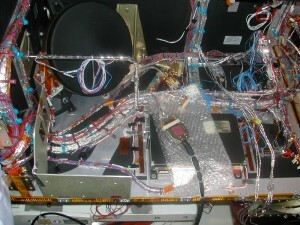 We also have other spacecraft tests that must be conducted in the week of 25-29 May. All this reduces the number of orbits we have available for the VMC Campaign to four. We also noticed that quite a few of the requested targets are close to each other. This causes a problem in that if we were to slew the spacecraft to point at any one first, by the time we have done this, then pointed back to Earth and then moved on to the next (nearby) target, it may well have moved out of view. Together, these constraints mean that we might only observe about five of the proposed targets. Clearly, with so many excellent requests and so few discrete pointings available, we needed to devise Plan B. Of course, being Mars Express engineers, if we’re told that something is difficult or impossible, we take that as a personal challenge! We suspected that we could improve on this situation, and started working on ideas for a better plan. First, note that, at 45 degrees, the field of view of the VMC camera is much larger than that of our main science camera. After a series of simulations, it became clear that by simply pointing VMC straight down and then flying the orbits, many of the requested targets would pass into view of the camera. This wouldn’t be quite as good as performing individual pointings, but it would still be pretty good and remove the need for the time-consuming slews. The trouble is, pointing VMC ‘straight down’ is not quite as simple as it may sound. 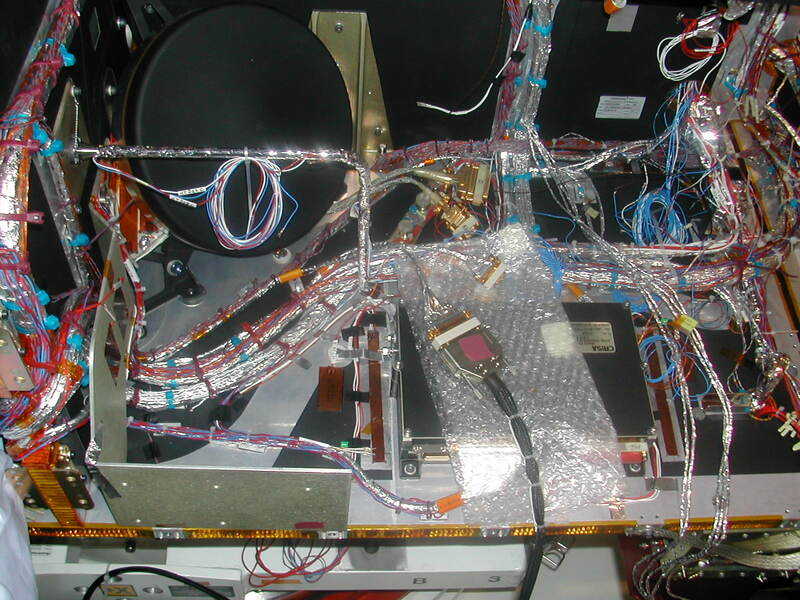 What we actually do is called a ‘spot pointing’ in which Mars Express’ attitude control system aims an instrument at a specific point on Mars (such as Olympus Mons, for example) and then the spacecraft continuously adjusts its orientation to keep the instrument fixed on that spot. In order to point down continuously, we would in fact need to conduct many of these spot pointings in a row – but then this means many slews and we’d be faced again with the multiple 45-minute slew delays! What we need is a single point on (or ‘in’) Mars that is ‘down’ no matter where we are over the surface; as it happens, there is such a point: The very centre of the planet. The result is that VMC will continuously track the planet itself, keeping it in the camera’s field of view during the entire way around the orbit; by taking pictures at regular intervals we can then capture far more of the requested targets as they pass into view. Indeed, at least one, or even, with some luck, several of the images thus acquired will be the closest to each of the requested targets. The MEX team at ESOC will download all the images, identify which picture(s) taken at which time(s) match the requested target, and parcel them out accordingly. While this solution may seem obvious, remember that as the main instruments are only ever pointed at specific targets, this kind of observation was never catered for in the planning and control systems, and so we have had to do some deft programming to ‘fool’ the system (thanks for avoiding the word ‘hacking’ in our public blog posts – Ed. ), but just by a little. We think it’s an elegant solution to a perplexing problem and we think most if not all proposals can be met. This solution, as hinted at the start of this post, uses the same technique we used for the Mars full orbit movies. The difference is that then, we collected a batch of images (about 600) during a single continuous orbit of seven hours. This time, we will be performing the pointing in three segments for a total of 28 hours over a three-day period. This allows the best compromise between the requested VMC observations and the required communication periods and subsystem tests that we must do. For example, we cannot expose certain sides to the Sun for too long, nor can we allow our reaction wheels – the devices which turn the spacecraft to point in the desired direction – to build up too much speed. The good news is that their analysis is almost complete and we expect the results shortly. Once we have these, we can then use their output to generate a final simulation of the three-day observation period and can then give a final confirmation of which targets will be observed. Such a highly anticipated announcement. Oh, the suspense! We at Aspiration Creation are eagerly awaiting the results. From a long shot, to perhaps maybe, to possibly, to probably. Fingers crossed. Good work ESA and good luck to all the applicants. I feel the need to use older students for this project. The younger students are still unable to handle the complexity involved in this project.